This is a such a lovely pendant. Jean has designed and handmade it to represent violets. 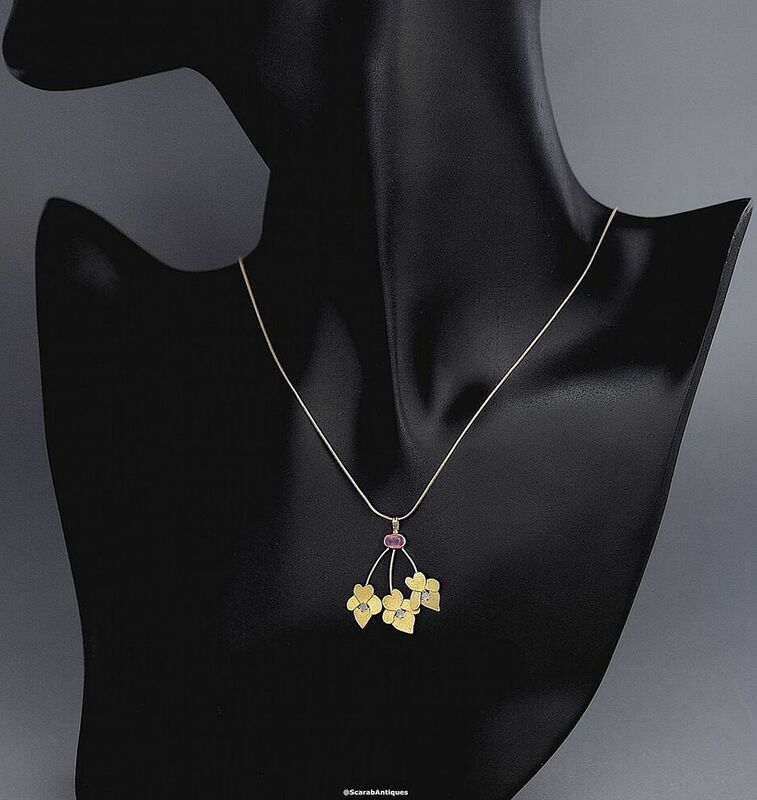 At the top of the 18ct yellow gold pendant is an oval pink sapphire set lengthways in a rubover setting attached to which are 3 18ct yellow gold curved wires each one of which terminates in a voilet flowerhead comprising 4 18ct brushed yellow gold petals centred with a small round diamond. 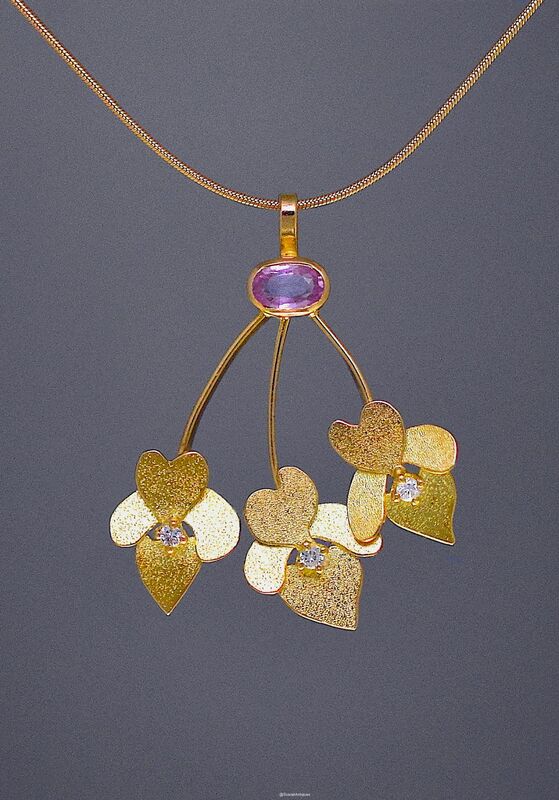 the pendant hangs on an 18ct yellow gold snake chain.